I have questioned this a lot when I was a beginning guitar player. It wasn't easy to find the right answer, but I got it. 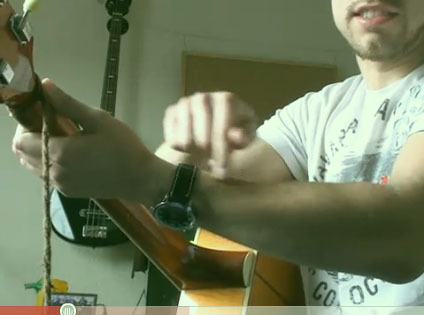 What is the correct position for your wrist when you're playing guitar? I chose the wrong position. First of all you should always try to keep your arm/wrist/fingers as relaxed as possible. This goes for guitar playing, piano, and also just writing. Although an incorrect position, or lets say 'bad technique' doesn't necessarily mean that you'll hurt yourself, there is an increased risk. Bad technique + my body did result in injury. So take it as a warning. I did play the guitar for about 5 years with no problems. Later on I started to notice, and before I knew it it was to late and my wrist got f'ed up. I'll explain the nature of these injuries in another post later on. For now you have to take my word that one technique is the right one, and the other the wrong. But as I said there are enough guitar players that use this 'bad technique' and don't hurt themselves. Wrong position. To much stress on the muscles. This is a natural position. 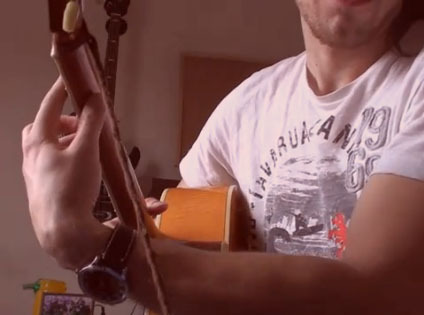 If you think you already know how to grab and grip the guitar the most relaxed way, take the test! Quiz on technique. I've been searching all over the net for hand/arm position. My teacher couldn't give me a clear answer. Thanks for the info and the illustrations. It's hard at first because the wrong technique is in my muscle memory. Especially when I have to stretch my little finger. Many guitar players are really using the wrong wrist position in playing. It is alarming that this may cause a great risk on their health. The correct position you provided will be a great information to them and hopefully they will adapt it. Wrist positioning is often neglected casing a lot of strains to hand muscles. 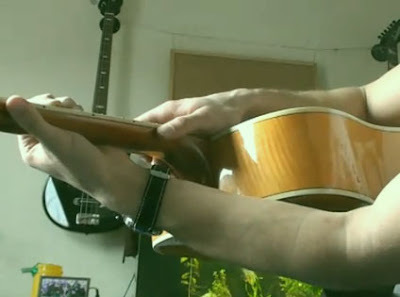 It is therefore very important for the teachers to teach the different kinds of techniques in playing a guitar starting with the correct wrist position.